Aberdeen Country Club Myrtle Beach is a representation of Scottish tradition Myrtle Beach golf. It features three different nine hole courses that are very unique to themselves. They are The Meadows, Highlands, and Woodlands. It’s sheltered by tall hardwood trees and the magnificent Waccamaw River. This course has Tif Eagle Bermuda Greens and beautiful fairways. 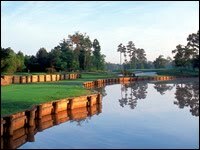 If you’re looking for Myrtle Beach tee times, check out Myrtle Beach Aberdeen Country Club, you won’t be disappointed. This entry was posted in Myrtle Beach Golf Courses. Bookmark the permalink.